88,6 x 95,9 cm - 34 7/8 x 37 3/4 in. Atelier Degas - Vene Degas, 1918, I, n° 66 - Jos Hessel, Paris - Durand-Ruel & Cie, Paris, 10 mars 1921 (Stock n° 12385) - Paul Guillaume, Paris, circa 1922 - Léon Orsodi, New York - Durand-Ruel & Cie, New York (Stock n° 5022) et Jis Hessel, Paris, 22 mai 1929 - Josf Stransky, New York, jusqu'en 1934 - Wildenstein & Co., New York, mai 1938-décembre 1944 - Pierre Matisse Gallery, New York - Patricia Kane (Matisse), New York, 1968 - Norton Simon Foundation, Pasadena, 1968. New York, Durand-Ruel & Cie, 1928, n° 17 – Northampton, Smith College, 1933, n° 1 – Worcester, Art Museum, 1933, p. 153 (repr.) 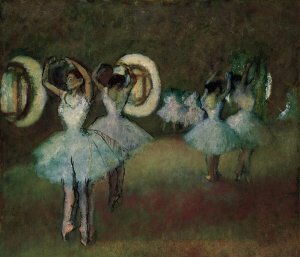 – Londres, Wildenstein & Co., 1936, n° 12 – Portland, Art Museum, 1968, n° 4 – Los Angeles County Museum, 1972, En prêt – Princeton, University Art Museum, 1972, n° 39 – San Francisco, California Palace of the Legion of Honour, 1974, n° 35 - Detroit, Philadelphie, 2002-2003, fig. 116, repr. p. 108. Flint, 1931, p. 88, 97 (repr.) – Flint, 1935, p. 2 (repr.) – Lemoisne, 1946- 1949, III, n° 819, repr. p. 471 – Browse, 1949, p. 67 – Lassaigne, Minervino, 1974, n° 823, repr. p. 123 – Terrasse, 1981, n° 478 – Kendall, 1987, p. 269 (repr.) 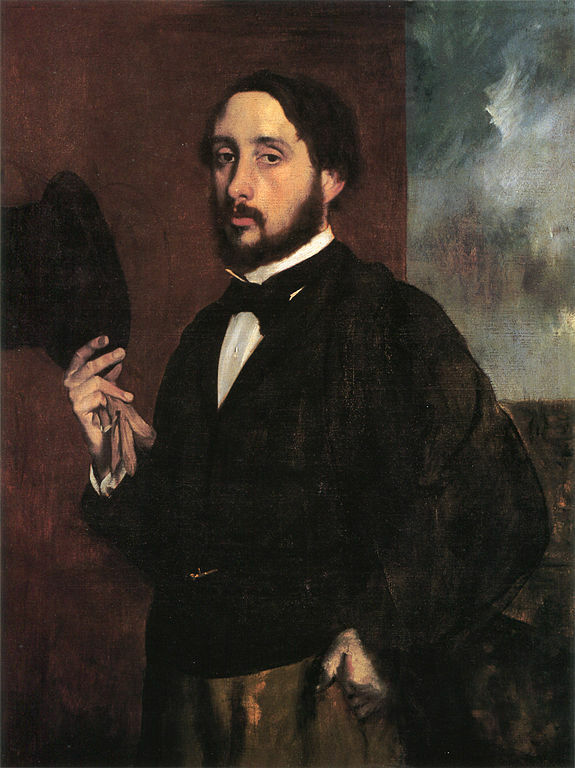 – Muchnic, 1998, p. 124 - Degas in the Norton Simon Museum, 2009, II, n° 28, repr. p. 207.